When your account has been set up by Infiniti Group Australia, an email will be sent to you with a password. 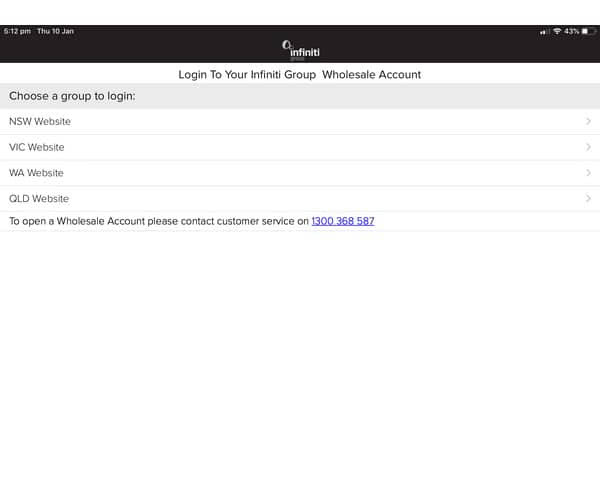 The app can only be used by Infiniti Group Australia customers, if you are a new customer please contact us first. When you open the app, the first screen will prompt you to choose your state, once selected you will be able to enter your user name and password and log in.